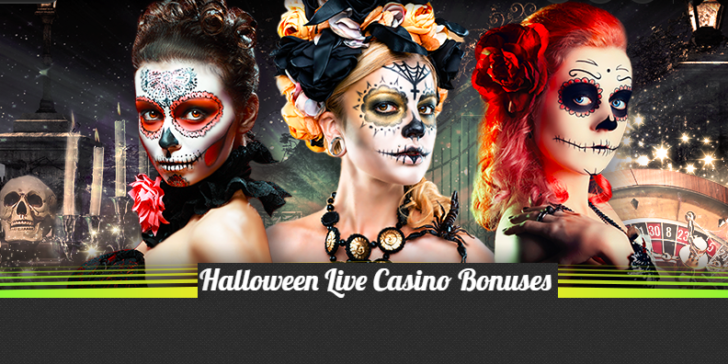 This could easily become the best Halloween you ever had: win up to €13,000 at 888casino! Win up to €13,000 for Halloween! Would you like to get €13,000 extra money to play with? If so, why are you still not signed up for 888casino? Join 888casino and start depositing today! Your next 26 deposits will grant you 25% bonuses – each and every one of them! When making deposits, use the deposit promocode “SCARY” to get your extra money! The Halloween casino offer is available until 2 November – you have till then to get extra money upon your deposits! After making your deposits using the Halloween deposit promo code, you have to wager the deposit amount 3 times. After that, you get your prize instantly, for which you face a 30 times wagering requirement before withdrawal. For further information, please check out our review about 888casino! Win up to €13,000 at 888casino! Claim €500 extra on each of your next 26 deposits! Claim Promotion! Claim Promotion at 888casino! Check out the latest online casino promotions in Mexico! To learn more about the best Online Casino Sites in Mexico, have a look at the Online Casino Reviews section.